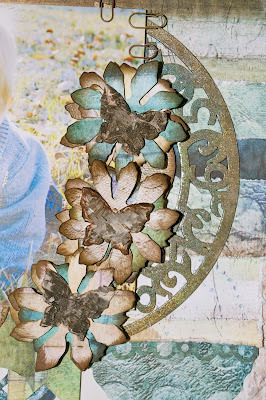 Good Morning Sweet Friends, Today is the Scraps Of Darkness Design Team Reveal Day for the November Kit "Water Lillies". 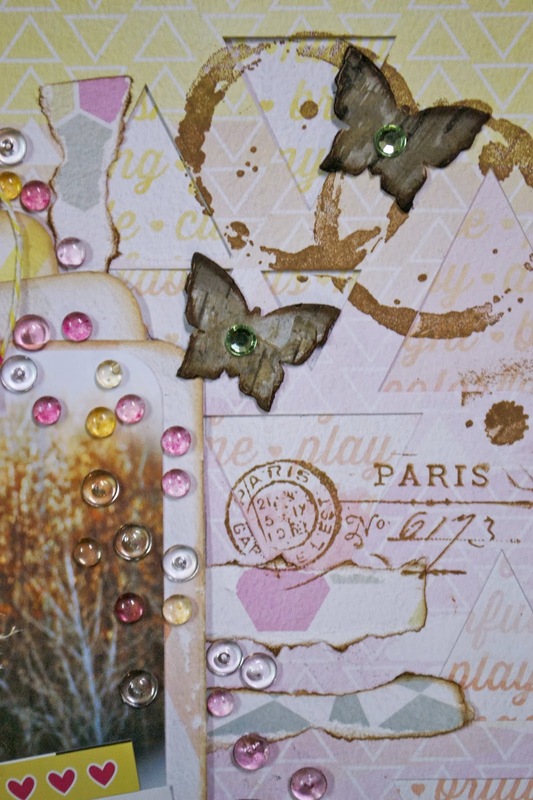 This is a beautiful and versitle kit that includes papers from 7 Dots Studio "7th Wave" by Finnabair, Carta Bella's "Wildflower" collection, and Pink Pailsee's "Color Wash" Collection. My first project is a layout using 7 Dots Studio-7th Wave papers. 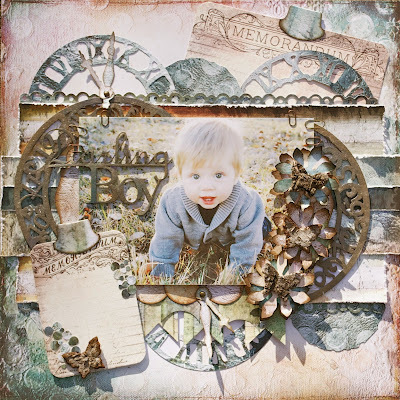 I did a lot of layering for this layout and used Tim Holtz's "Weathered Clock Face" Die Cut along with a chipboard clockface from Imaginarium Designs. I first dry brushed some Ranger Perfect Pearls Patinas on the chipboard and then lightly sprayed them with some Goosebump to give it a seal and bit of luster. This is a photo of my niece's little guy Parker, such a little cutie and always with a smile! And here's a totally different project using the beautiful and versitle November Kit "Water Lillies" from Scraps Of Darkness. 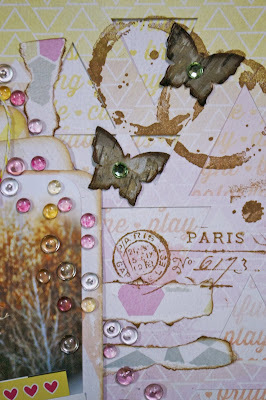 For this layout I used the beautiful papers from the Pink Paislee "Color Wash" Collection from the kit. I loved doing something different using some pastel colors with a few bold colors also from the kit. 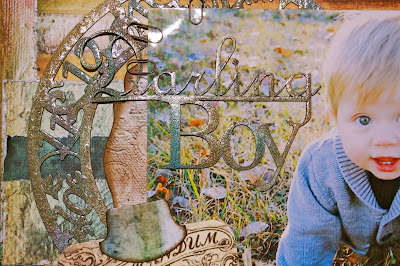 I did a lot of background stamping with some Tim Holtz stamps and used some torn scraps from the papers. I backed the Pink Paislee Color Wash Tag with some cardstock that I sprayed with Lindy's Stamp Gang-Mad Hatter Collection Mist-Cheshire Cat-Cherry from the kit. 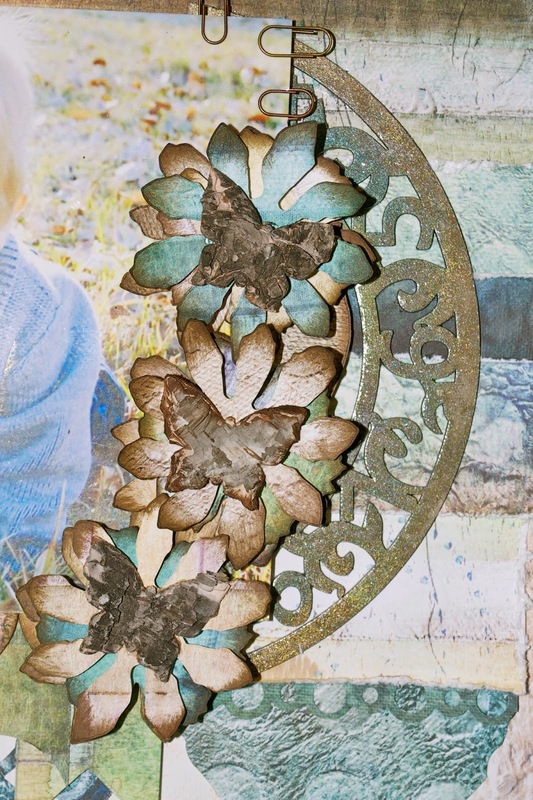 I also just had to use more of the rustic butterflies from Prima's "Bark Sharpes"…just love them!! The green rhinestones are from the kit also. This is a photo of my sweet niece, Zara and her husband Wayne on a Fall photo shoot. Your projects are simply stunning. 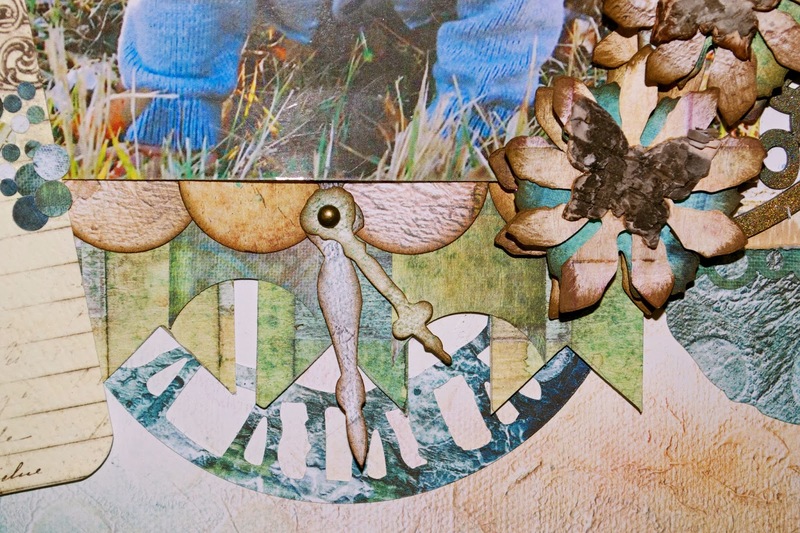 Awesome designs and such gorgeous elements! Karen - I love both of these layouts. 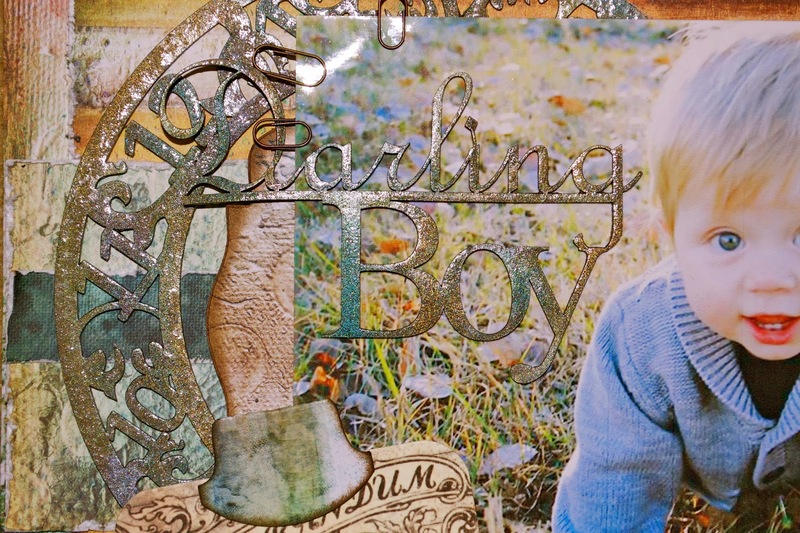 The little baby boy is so sweet! He is a cutie for sure! I love the clocks you used. The other layout is beautiful. I too love the pastel and the bold colors. Great designs! Thanks for sharing!